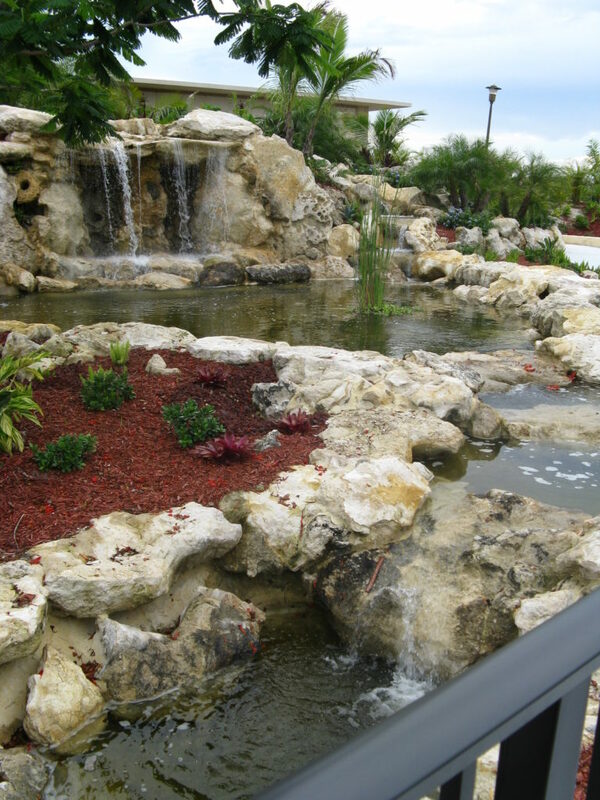 Resort / Park Scale Natural Cap Rock Grotto Waterfall & Stream - Universal Landscape, Inc. This photo shows a front view of a Resort / Park scale waterfall & landscape project we took from concept through completion. We used natural real Florida Cap Rock for the feature which began with a Grotto feature, falling directly into a pond basin and leading to a stream as you can see. Photo taken from the bridge crossing over the stream, (rail is visible for bridge in lower right corner of photo).